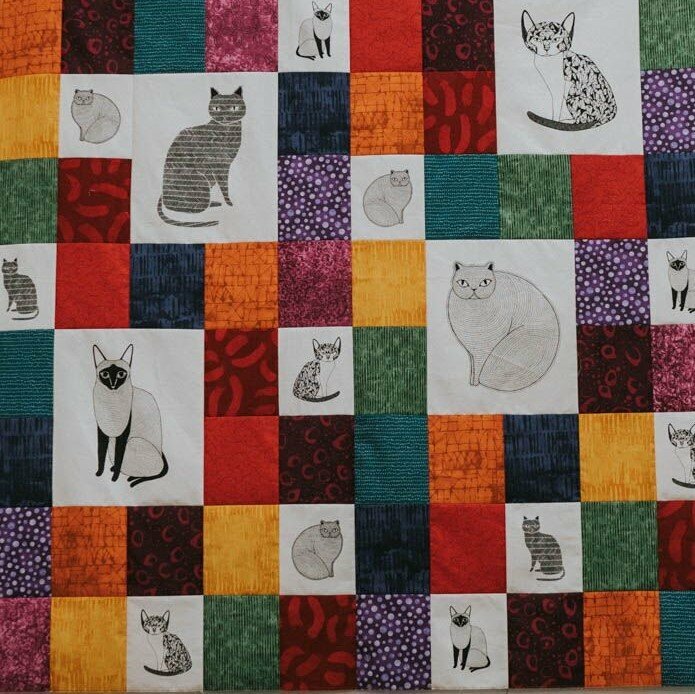 Catherine, a Hip Stitch team member, created this pattern using Gingiber's Catnip Panel. Stacie Bloomfield with Moda Fabrics is the artist behind Gingiber - Catherine was inspired by her sweet artwork and we've put together the kit to make a 56"x59" quilt! It's modern, fresh and one of Hip Stitch's best selling kits! Kit includes pattern & all fabric to make the top.